This is our reference NY-16263. 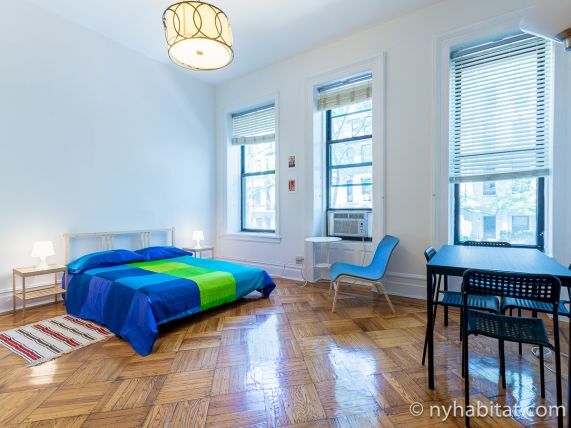 Live just up the street from the world-famous Central Park with this classic studio apartment in the Upper West Side, Manhattan! 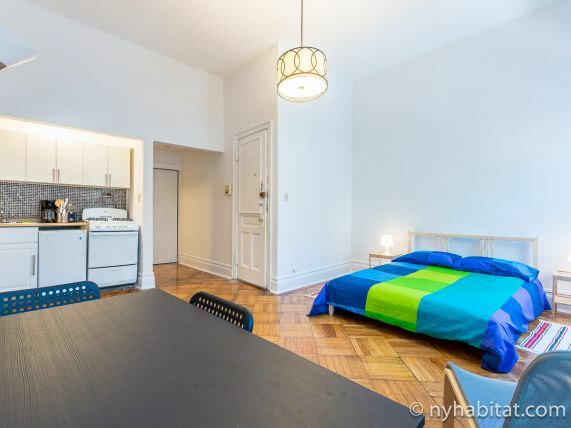 Located on West 88th Street &amp; Columbus Avenue, the approximately 300sqft studio apartment sits on the 2nd floor (considered 1st in Europe) of a 4-story low-rise building built in 1900. There is no elevator; only a staircase. The building is protected by a buzzer/intercom security system. 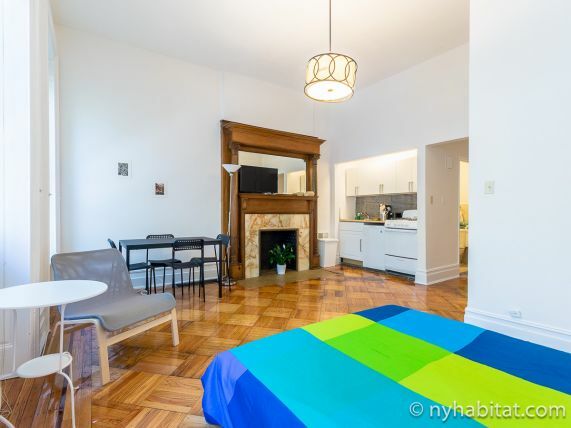 This quaint but stylish apartment features beloved prewar-era qualities such as high ceilings, parquet floors and a stately decorative fireplace. It is lit up by a hanging chandelier in the center of the main living space, as well as by three windows that face north. Next to one window is a queen-sized bed and glass bedside table with lamp. Other amenities in the home include a flat-screen television that provides indoor entertainment, a desk for workspace, and a small black dining table for two. 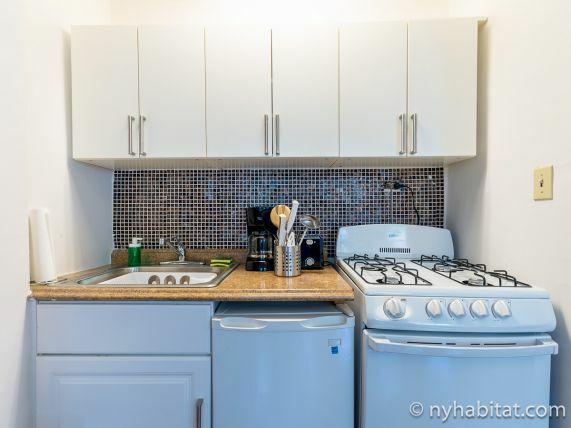 There is a kitchenette lining one wall, which is equipped with basic cooking appliances and some cabinetry. There is also a large hanging closet and another large pantry/wardrobe that has shelves for stacking clothing. Traveling around New York City is easy and convenient from here. Simply hop on the 1 train at 86 Street / Broadway (0.3mi/400m) or take the B or C trains at 86 Street / Central Park West (0.3mi/450m)!